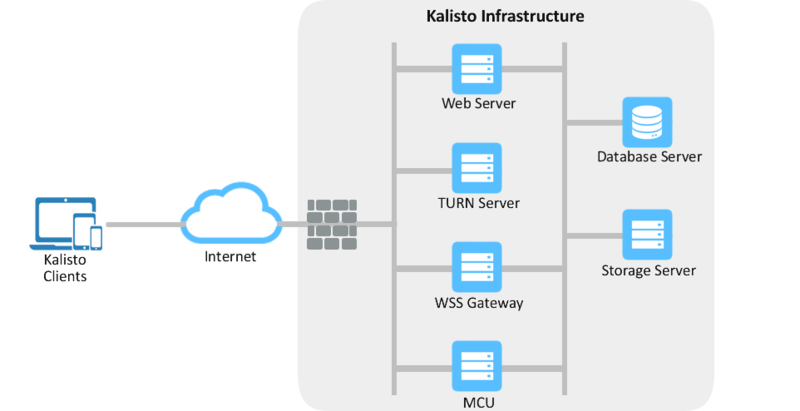 Kalisto offers a unique scalable video conferencing platform with end-to-end encryption using WebRTC based technology. 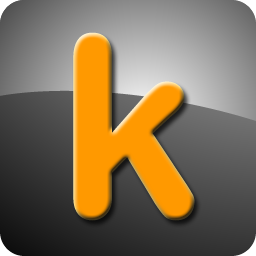 Kalisto technology is primarily meant for integration into Industry verticals like Insurance, Distance learning, etc. 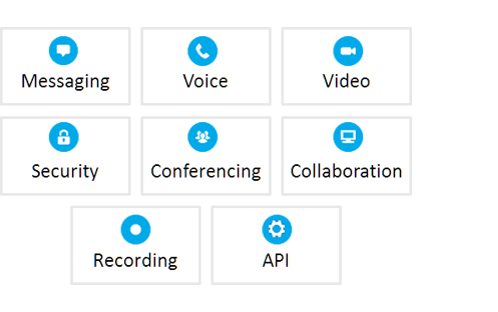 Kalisto offers a unique platform with API and SDKs that can be integrated into existing business processes to offer secure messaging, audio/video calls and conferencing. The solution offers recording functionality and the recorded file can be consolidated and delivered to a pre-defined storage location. Enable users to interact with each other on their mobile devices using voice, video, and messaging. 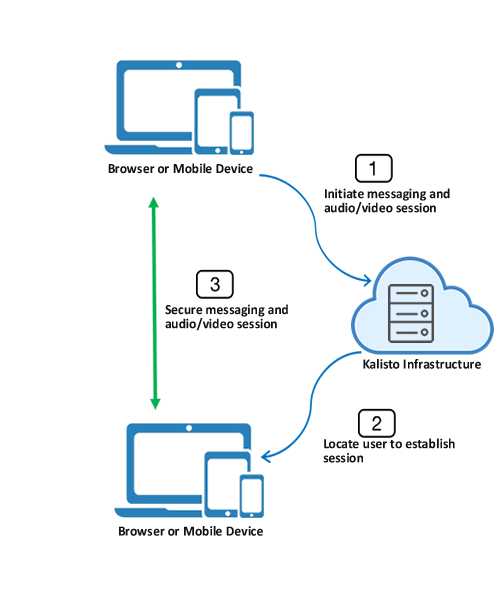 Kalisto SDK for mobile & browser, and the supporting infrastructure can be integrated & consumed to securely provide a real-time communication & collaboration experience. Users can interact from a WebRTC enabled browser (Firefox, Chrome) and mobile devices to conduct business, engage in real-time communication, and other relevant business needs. Resolve issues effectively and increase operational efficiency. Often when a serviceman is sent to assess an issue, a judgement call is made on what level a serviceman should be sent to fix the issue. If the judgement underestimates the issue, a person inexperienced in that complexity would find themselves wasting time realizing it's beyond their capabilities and would also request a more experienced service man be sent in his/her place. With Kalisto, whether experienced or not, that serviceman could potentially resolve the issue with the assistance of a remote expert. This would improve operational efficiency by reducing overall onsite visits and wasted visits from misjudged situations. Responsiveness could also be boosted as experts could handle more issues by remotely assisting lower level staff sent out to investigate. Increase staff productivity, reduce budget expenses, and provide a better experience for instructors and students. Distance learning is less expensive to support/implement and is not constrained by geographic considerations. It offers opportunities in situations where traditional education has difficulty operating. Students with scheduling or distance problems can benefit, as can employees, because distance education can be more flexible in terms of time and can be delivered virtually anywhere. Institutions and Distance learning providers can adopt Kalisto to encourage communication and collaboration among instructor and students. Lesson plans can be discussed over conferences with participants having flexibility to attend lectures/sessions from home, on the road or onsite to increase teaching effectiveness and reduce overtime costs for staff. Kalisto technology can be integrated into any existing application to deliver seamless audio/video conferencing simulating a real-world classroom experience. The server infrastructure is software based and can be deployed in linux based virtual machines.